I had this cool essay that I thought about writing. So, what did I do? I didn’t write it. Instead, I sat on the idea for about three days. I would go back to the idea, while I was cooking, while I was doing laundry, while I was exercising and watching Murder She Wrote reruns, and by the time I sat down to write it –something I really didn’t want to do, because I wasn’t even sure how to write it—the whole thing came tumbling out in about fifteen minutes. Mind you, it was definitely not pretty. It was mashed-up, ugly and not readable. However, after I edited it about two times, things improved. And after a few more edits, it might even be printable. Why am I telling you this? 1. Because I realized I wrote for 15 minutes and came up with seven hundred words. That’s so cool and very hard to do. If I did that every day for an hour I could have a “book” written in a month or less. In the real world, words rarely come that fast and furious. 90,000 words is usually a three-month thing at the earliest. 2. Because I realized that stewing over something for a few days can release a flood when the time is right to open the dam! Awesome. Some writers are horrified with small amounts of writing. I understand. It means perfect writing with as few words as possible. However, I look at it differently. 1. Short stories teach you to be succinct. I know. Just getting your backside in a chair and writing a few sentences before Facebook pulls you away is a Jedi skill alone! But truly, honing, crafting, and making perfect that short, little essay will teach one wonders in streamlining, extricating profuse verbosity, and really, just saying what you need to say. 2. Shorts stories are a great way to have an entire product within a reasonable amount of time. As I said, three months for a book, or maybe three hours for a story. Talk about (almost) instant gratification! 3. Short stories teach you the essentials of a story – in one page (or two). The beginning, the middle and the end, all within a matter of hundreds of words. That’s like seeing the big picture within the little picture. All three of those parts make a whole, and when you can see it in the work, because it’s a matter of two pages, it’s like scales falling from your eyes … it’s, dare I say it, like being an agent that can see if there’s a story in your work or not. 4. Short stories are diverse. 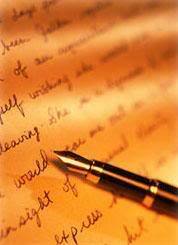 They can be an essay, a memoir, a story (as the name implies), or even a children’s book, devotional or love letter. Short stories are the starter homes to the mansions, if you will. I can stay in the starter home or be just as happy in the mansion. While the starter house has a few less rooms or square footage to live in, it also means fewer rooms to clean, if you get the analogy. Not a bad thing! 5. Short stories can be the start of something big. As previously mention, short stories might just be the starter house, which is supposed to be a grand mansion instead. If you’ve got a great story, like about a dog walker who is really a kung-fu master, but aren’t positive you can write 90,000 words about it, try the short story. If you really need more than 700 words to tell the story, then perhaps you have a book. If not, well, you’ve got a nice story about a man and his dog(s). And who doesn’t like stories about man’s best friend?